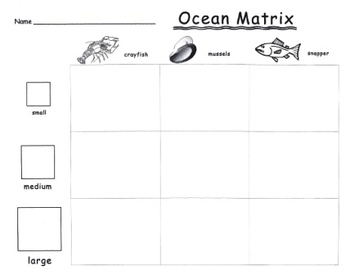 A matrix for students to complete with an ocean theme. Characters are based on the story "Grandpa Grandpa" by Joy Cowley and include snapper, mussels, and crayfish. 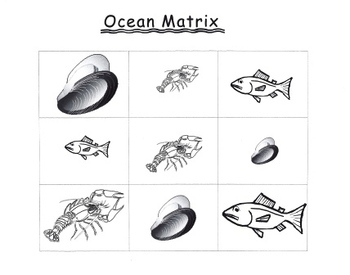 Small, medium, and large images are coloring book style allowing for student illustration.